Many people decide to pursue a career in nursing because they want to be instrumental in helping patients get healthy. In order to do that, it's necessary to set health goals with the patient, then take steps to achieve those goals. Imogene King's Theory of Goal Attainment focuses on this process to aid nurses in the nurse-patient relationship, helping their patients meet the goals they set for their health. Imogene King was born on January 30, 1923 in West Point, Iowa. She received her nursing diploma from St. John's Hospital School of Nursing in St. Louis, Missouri, in 1945. In 1948, she earned her Bachelor of Science in Nursing from St. Louis University, and went on to complete her Master's of Science in Nursing, also from St. Louis University in 1957. She also earned her doctoral degree from Teachers College, Columbia University in 1961. She died on December 24, 2007. Between 1966 and 1968, King worked as Assistant Chief of the Research Grants Branch of the Division of Nursing in Washington, D.C. under Dr. Jessie Scott. She was the director of the Ohio State University School of Nursing from 1968 until 1972. She was an Associate Professor from 1961 until 1966 and a Professor from 1971 until 1980 at Loyola University in Chicago. After serving as a professor at the University of South Florida's College of Nursing in Tampa, Florida from 1980 until 1990, King retired with the title Professor Emeritus. During her career, King was an active member of the District IV Florida Nurses Association, the American Nurses Association, and Sigma Theta Tau International. She was also a Fellow in the American Academy of Nursing. 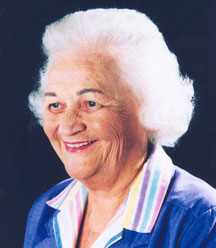 Imogene King's Theory of Goal Attainment was first introduced in the 1960s. The basic concept of the theory is that the nurse and patient communicate information, set goals together, and then take actions to achieve those goals. It describes an interpersonal relationship that allows a person to grow and develop in order to attain certain life goals. The factors that affect the attainment of goals are roles, stress, space, and time. According to King, the patient is a social being who has three fundamental needs: the need for health information, the need for care that seeks to prevent illness, and the need for care when the patient is unable to help him or herself. She explains health as involving life experiences of the patient, which includes adjusting to stressors in the internal and external environment by using resources available. The environment is the background for human interaction. It involves the internal environment, which transforms energy to enable people to adjust to external environmental changes, and it involves the external environment, which is formal and informal organizations. A nurse is considered part of the patient's environment. The three interacting systems in her Theory of Goal Attainment are the personal system, the interpersonal system, and the social system. Each system is given different concepts. The concepts for the personal system are: perception, self, growth and development, body image, space, and time. The concepts for the interpersonal system are: interaction, communication, transaction, role, and stress. The concepts for the social system are: organization, authority, power, status, and decision making. King's Theory of Goal Attainment defines nursing as "process of action, reaction and interaction by which nurse and patient share information about their perception in nursing situation." According to King, nursing's focus is on the care of the patient, and its goal is the health care of patients and groups of patients. According to King, the goal of the nurse is to help patients maintain health so they can function in their individual roles. The nurse's function is to interpret information in the nursing process, to plan, implement, and evaluate nursing care. In the nurse-patient relationship, the nurse first uses his or her knowledge base to assess the patient and make a diagnosis. After the diagnosis, the nurse creates a plan for interventions to solve problems that were identified in the assessment and diagnosis. Once a care plan is created, actions are implemented to achieve the patient's health goals. Finally, the nurse evaluates the patient to determine whether or not the goals were achieved. In the healthcare field, the ultimate goal in the nurse-patient relationship is to help the patient achieve his or her goals for getting healthy. By using the nursing process described in Imogene King's Theory of Goal Attainment, a nurse can be more effective in working with a patient to achieve those goals, and can truly help patients.